The freestyle kayaking world championships continues its national television broadcast through the end of August. You can enjoy all the whitewater action from the comfort and warmth of your living room. Watch big names including Dane Jackson, Eric Jackson, Claire O'Hara, Peter Csonka, James Bebbington, Rowan Stuart, Adriene Levknecht and others through massive loops and flawless cartwheels. The broadcast promises to expose millions to the ever-growing sport of freestyle kayaking while highlighting the beauty and natural resources of the North Carolina Smoky Mountains and Swain County. The event, held in September 2013 , drew 178 athletes from 30 countries and over 30,000 spectators to NOC's Nantahala River campus. Add in the 50,000 viewers on the event's live stream and the 2013 ICF Canoe Freestyle World Championships became the "biggest freestyle event ever held" according to Lluis Rabaneda Caselles, Chairman of the ICF Freestyle Committee. Don't let the summer get you down! Enjoy whitewater into the fall season. Fox Sports Net Network will carry the event on 14 regional sports networks and additional affiliate networks. Official 2013 ICF Canoe Freestyle World Championships Event Website: See results, highlights and official Sports Scene coverage of the event. 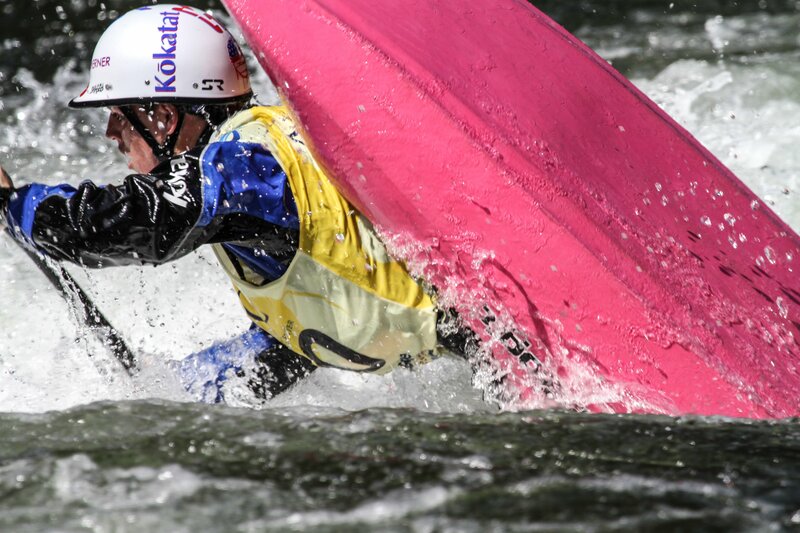 Nantahala Racing Club: A non-profit organization committed to the development and training of whitewater slalom, wildwater and freestyle athletes.